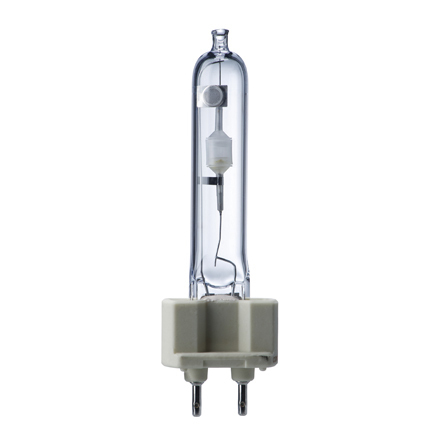 Single ended Ceramic Metal Halide lamps are made to provide symmetrical beam distribution using the axial configuration of the discharge arc. A variety of beam angles are possible and adjustable beam control can be built into the luminaire. This compact lamp shape enables luminaire size to be minimised and the bi-pin lamp base enables easy changing with front access.